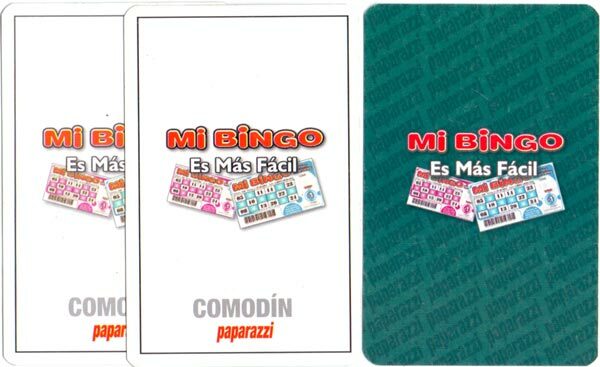 Pin-up deck promoting “Mi Bingo” given free with Paparazzi magazine featuring glamour models holding suit symbols on each card, 2005. Above: Pin-up deck given free with Paparazzi magazine, 2005. 48 cards + 2 jokers in box.